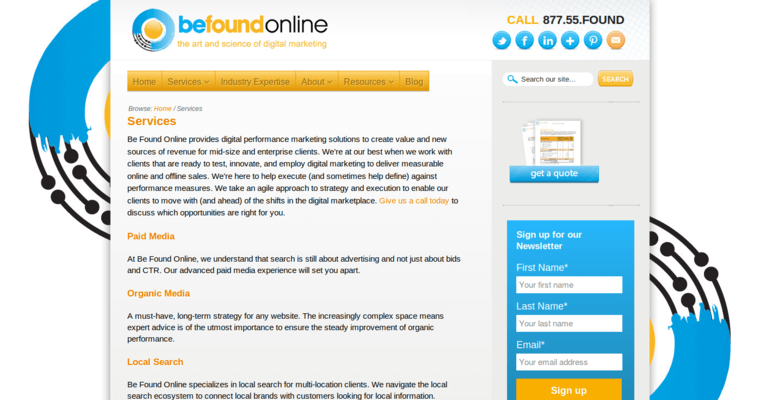 Be Found Online is a search engine and marketing agency that operates across borders, with offices in Chicago, London and Singapore. 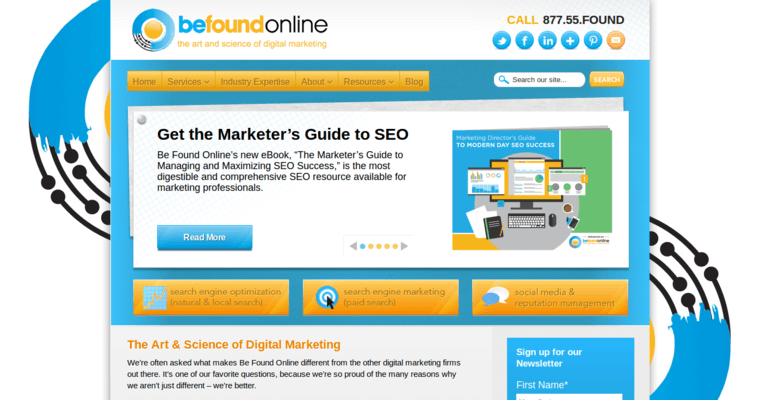 Be Found Online is a group that simply loves thinking up new strategies and ideas for helping people expand their business awareness. Having a good strategy in motion can go a long way in giving clients the success they are craving and help them avoid all the pitfalls that others fall victim to. For example, learning to perform market research is a big help because it's important for business owners to known who their audience is and what they expect. Conducting a sales campaign also plays a part in strategy because one has to know how to engage the audience and persuade them to get involved in business. 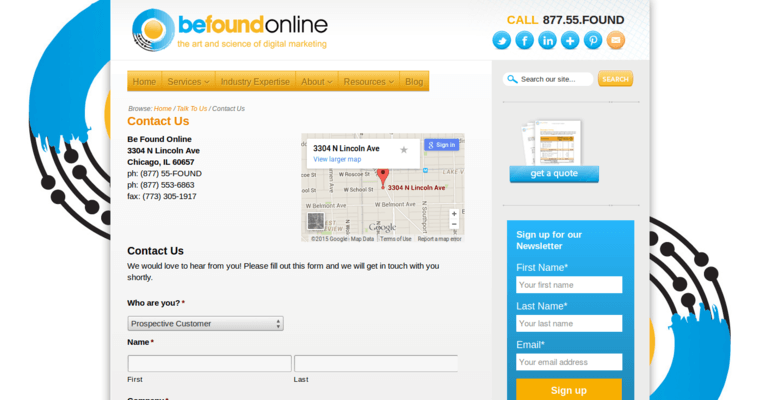 Be Found Online has been proud to work with big names such as Motorola, Nissan, Jackson Hewitt, StubHub and White Castle.